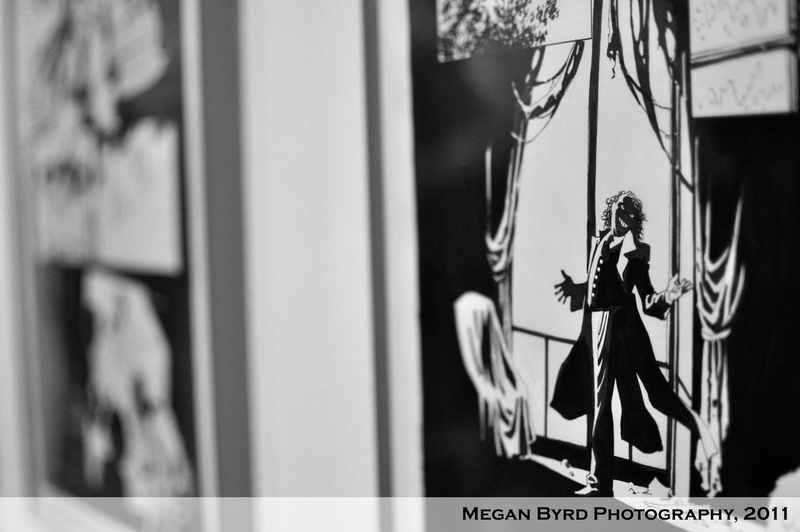 Over at my photography site I've posted pictures from the Rogues Gallery's most recent opening for artist Eduardo Risso. The exhibit will remain on display through this week into next, then it will come down shortly before September 9th when Challengers welcomes Wizard of Oz artist Skottie Young. Stop in and see Risso's work for yourself while you can! Among others, there are pages from 100 Bullets as well as Flashpoint mini Batman: Knight of Vengeance, Risso's most recent collaboration with Brian Azzarello. Did I mention these pages are always on sale for prospective art collectors? If you have yet to visit the Rogues Gallery for an opening, these images may entice you to stop by in the near future; fun, free events where you get to view comic book art and meet top creators in the industry. What more could you want? 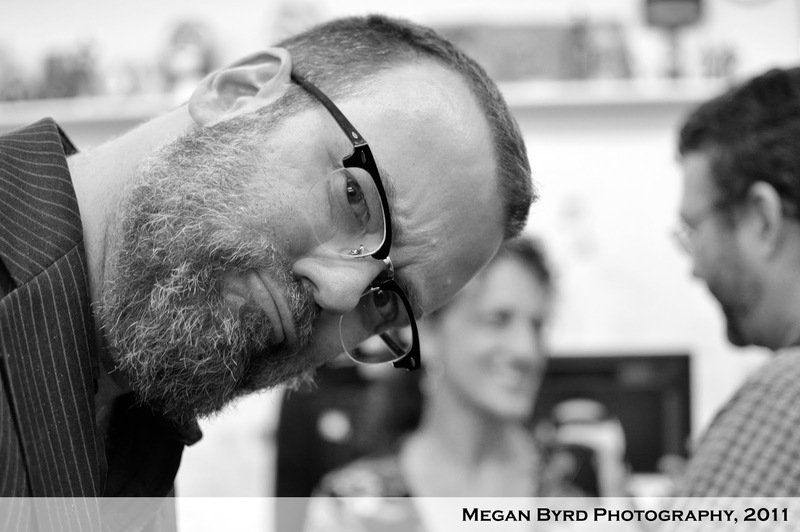 Above, cover artist Dave Johnson curiously looks at the camera.